This week we have a guest post about User Acquisition from our friends at App Samurai. Kübra Külünk is working as Digital Marketing Specialist at App Samurai. She met with digital marketing world after her graduation at 2013. After this point, she specializes in SEO, content strategy and content writing by improving herself through events, online courses and work experiences. 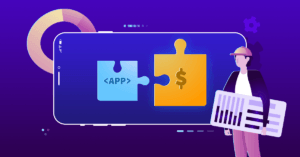 With over 8 million of apps in both Google Play Store and Apple App Store the competition is increasingly difficult and getting customers is becoming harder and harder. You need users to generate revenue and market your app. In this kind of crowded environment, you should craft a personalized user acquisition strategy for your app. I’m going to provide you with the ultimate list of resources for implementing a successful strategy. Leverage Your Mobile User Acquisition Strategy – 12 Channels to do it! Strategy: Measure Everything when it comes to Mobile User Acquisition! Focus first on ASO: 63% of iOS apps and 58% of Android apps are discovered by users browsing the app stores! Doing ASO is the first step in any user acquisition strategy! Another source for acquiring users is building a mobile website. As well as store search, many people search in web. At this point, you can direct people’s search journey to your app store page. It is crucial to add informative and satisfying content, links leading to your store page and creative images showing what they could expect from your product. Maybe, you can add a video like a teaser of your app. It has an undeniable effect on reaching a large number of people. Being active on Social Media Channels raises the interest towards your app. You can share anything from your blog posts and others’ posts to sectoral news and company news on Social Media. The limit is you! You can blend corporate life and casual life. Firstly, you should decide on which channel is the best for your target audience by analyzing their behavior on Social Media. While sharing anything, don’t forget to use popular hashtags. Try to connect with influencers. Chew on how to engage your users the best. You can direct users to your store page or a piece of content inside a mobile app. Inform users when there is an update or send them any kind of targeted messages. Let users contact with you and improve your app in the direction of feedback you gather. 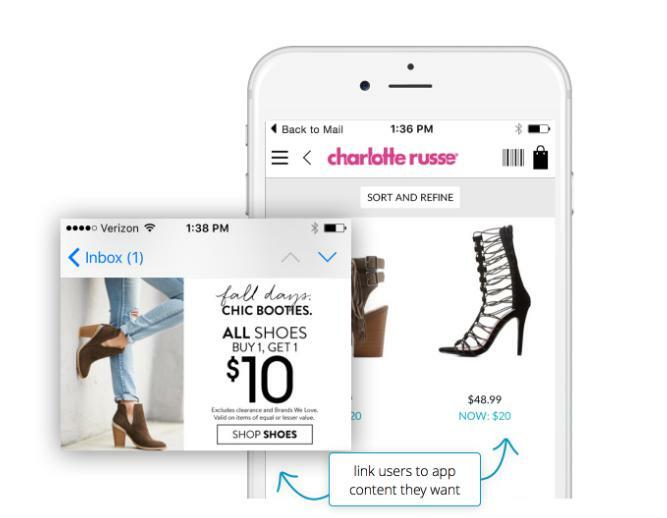 The most important part of sending emails is to insert deep linking. It is because research shows that $3,000 revenue is lost for every 1 million emails sent without deep linking. Another useful way is getting benefit from press releases. Reach out to bloggers, media influencers and websites that write about the niche your app occupies or would be willing to promote your app. While researching the website, pay attention that there is a relation between your app and their subject. It raises the awareness and drives organic user installs. After you keep your organic acquisition at a certain level, it is time to carry your game to a step further. Investing in paid channels for user acquisition is especially important because it improves app store rankings if you target successfully wherever your potential users hang out online. The purpose of banner advertising is to promote your app. By clicking the banner ad, users are directed to the advertiser’s website or to a specific landing page. It brings many benefits. Users begin to recognize your app easily, you can get more users signing up and retarget users who didn’t sign up or didn’t try out your product when they across your website. By the way, don’t forget that only about four-in-10 mobile users even trusting mobile banners. If banner ads don’t meet your needs exactly, native ads can be your new playground. Native ads behave consistently within the native user experience, and function just like natural content. According to some useful statistics; 25% of consumers look at in-feed, native ad placements more than at standard banners and 97% of mobile media buyers report that native ads were very or somewhat effective at achieving branding goals. As you know, video content is getting more and more popular. Most video ads last for about 30 seconds. It is logical because a 30-second mobile video ad has a 88.3% completion rate. Video ads can be placed on a number of social networks like Facebook or Instagram; video platforms, such as YouTube; and content discovery networks, like Outbrain and Taboola. To maximize your video acquisition, you can focus on storytelling and being research-based rather than sales oriented. Mobile retargeting is the best strategy for user acquisition by 90% of marketers. You should retarget visitors across all devices of use with additional value messaging. And your strategy should embrace the application of deep links, creative optimization, capping ad frequency, and consistent testing. Referral incentives come from offers and word-of-mouth. Incentive could be in the form of discount or bonus. To reach the success, customers have to have a good user experience which results in naturally occurring word-of-mouth. Incentive referrals create motivation to keep using your app and they are a good way to show your appreciation as well. The point you should consider here is factoring in all your expenses when deciding on how much and when you should give, if you prefer one time or recurring reward. As you know, people and businesses are very active on Social Media. Around 72% of Internet users are Social Media users and 81% of businesses use Social Media. Facebook is the biggest social network in the world and should be considered as the primary channel for your app promotion (Facebook Ads + Instagram Ads). In spite of this fact, don’t ignore the power of other social media platforms. Start advertising based on the most active channels your target users are on. Moreover, make sure you’re spending money on the best ad formats for your target audience for a high ROI. Social Ads are a great weapon for any user acquisition strategy! The importance of digital marketing is obvious indisputably. However, don’t forget to reach the crowd of people being active on non-digital platforms like TV, radio, or print. Before invest in non-digital platforms, accurately determine the LTV of newly acquired users. Number of installs and Install Rate are the two most important metrics for user acquisition: they tell you whether or not people value your app. However, you should consider user acquisition cost metrics including CPI (cost per install), CPA (cost per action), CAC (customer acquisition cost), ROI (return on investment) as well. User acquisition strategies should be dynamic. You should optimize them according to user trends, user behaviors and user needs. I mean, users have to be your focus and then you have to shape your strategy accordingly. Never forget to measure any action! What do you think about the post? Tell us in the comments.